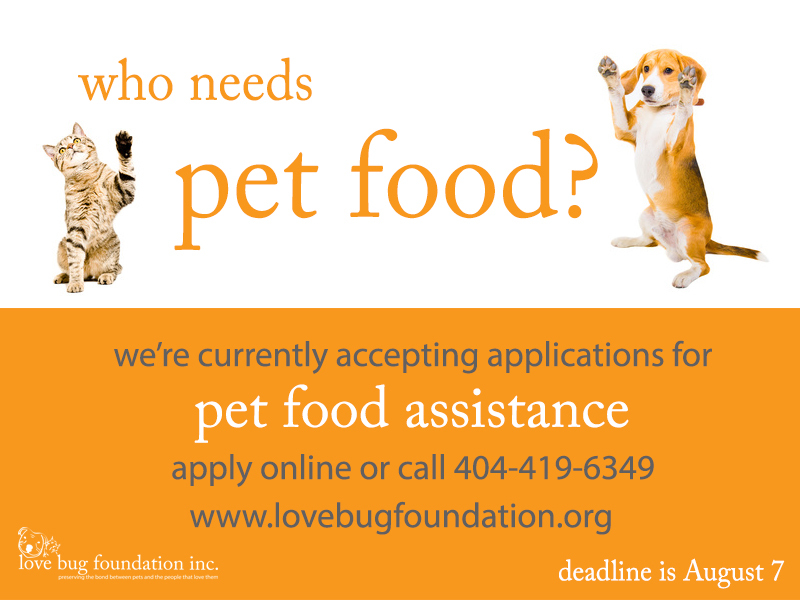 REMINDER - August 7 is deadline for assistance | love bug foundation inc. 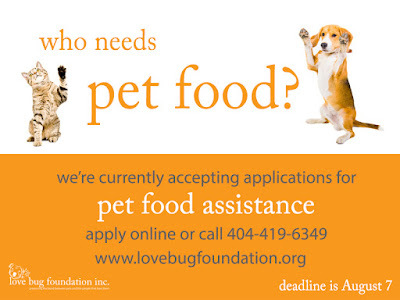 Please remember to call/email to apply or reapply for pet food assistance in the month of August. The deadline is August 7.